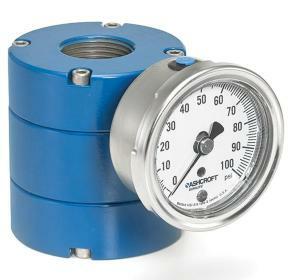 The Ashcroft 82 isolation ring or isolation device is threaded in-line with process piping. Used on threaded piping systems for protection of measuring instruments. The "ring" design eliminates process accumulation, assuring accurate pressure readings.